Useful tools for any power supply. This basic kit provides the necessary test leads and alligator clips required when starting to use your general-purpose bench-top AC or DC power supply. 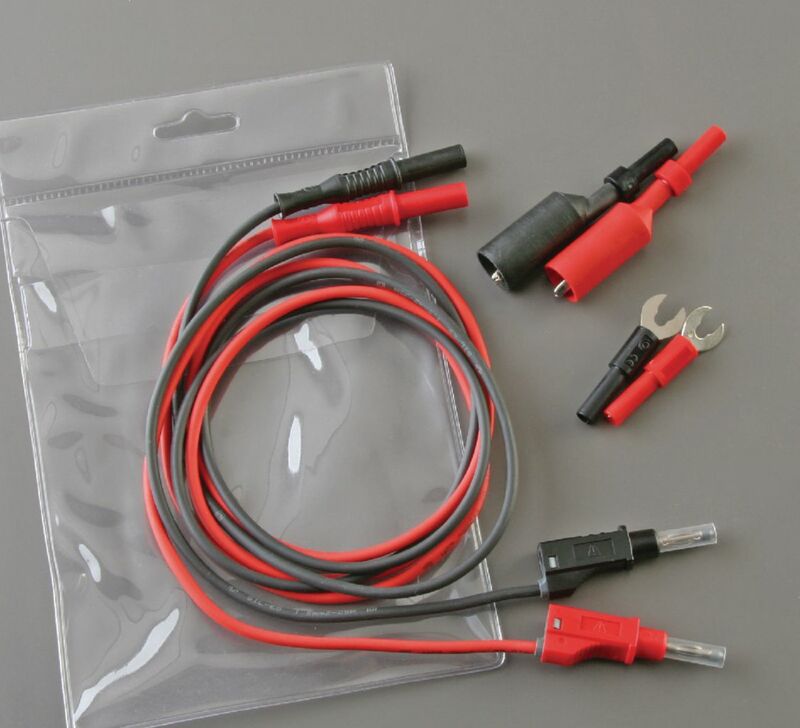 The kit features leads with high capacity silicone jacketed wire with retractile sleeve to straight fixed sheathed banana plugs. Two insulated alligator clips make the final connections. The four piece kit comes package in a clear PVC pouch for convenient storage. RoHS compliant.